Last days of a special offer from BCBGMAXAZRIA are here. 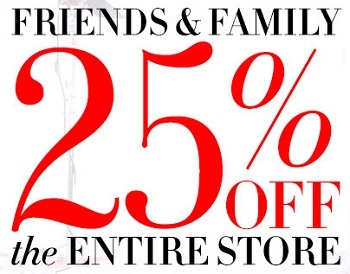 Enjoy last chance to save during Friends & Family Event at U.S. BCBGMAXAZRIA stores. Take 25% off your entire purchase! Source of the information is BCBGMAXAZRIA. Offer is valid through 11/11/2015. More details available at BCBGMAXAZRIA stores.